Xtreme Games held a Vintage tournament for a Time Walk and other nice prizes on 08-15-2010. After the 5 rounds of Swiss, then Quarterfinals, and then Semifinals, Jerome Yanchick (Team Empire) was left to battle Jimmy McCarthy (Team Serious, Team Meandeck) for a Time Walk. Jerome is pictured on the left piloting 5C ‘Empire’ Stax, and Jimmy is on the right piloting ‘Serious’ Bomberman. Check out the video of Game 1 after the jump! We’ve got in game audio for this one, so no music this time. The video for Game 2 of the Finals should be up soon. 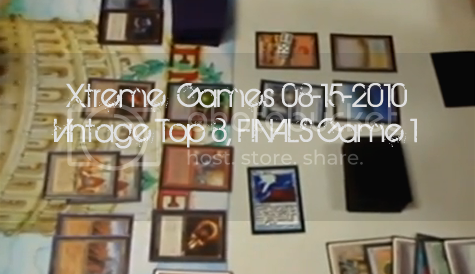 Top 8 decklists, metagame report with deck breakdown, and more can be found in our full Top 8 writeup here. 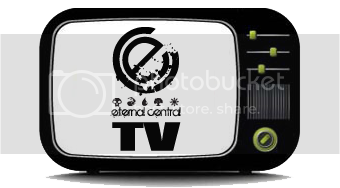 Check out more action in our new Eternal Central TV, a video gallery of Vintage and Legacy videos!